Has your dog been displaying unusual behaviour when you’re leaving him on this own in the house or even behaving peculiarly when out on a walk? Then it could be that your dog is suffering from anxiety. Firstly, there are many reasons why your dog might be experiencing anxiety: Has there been a simple change to routine – have you started working longer hours or has a member of your family flown the nest? Have you been on a holiday and left your dog with a sitter or in kennels? 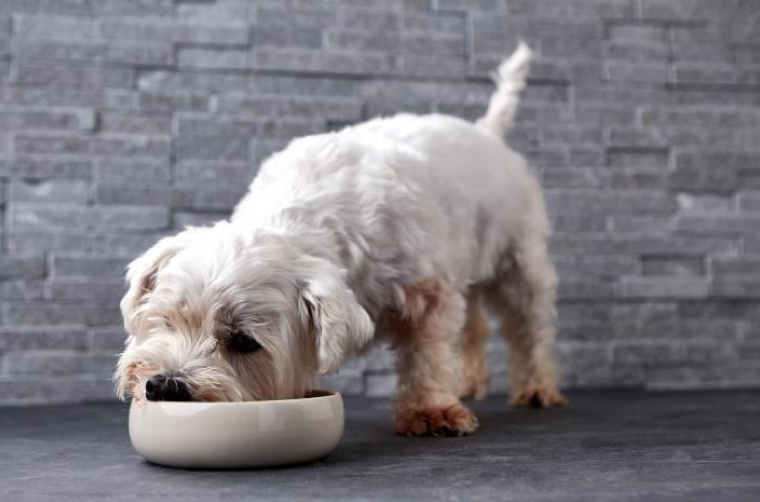 Have you moved house and your dog is having to adjust to a new environment? While left at home on his own has your dog had a traumatic experience? Make sure your dog has plenty of exercise! It might sound simple but exercise is a great way of relieving stress in humans so it makes sense that it works for dogs too. A long walk in the morning or indoor play and again in the evening will release endorphins to ease his stress. It will also tire him out so he will get plenty of rest. Have a steady routine for your dog so he knows what to expect, when people will be home and when they won’t, meal times and play times. Having a set routine will greatly help elevate stress. Leave plenty of toys out for your dog to play with, especially if he is going to be at home alone. Toys will also help keep your dog mentally stimulated which in turn will help relieve stress. Giving a gentle massage is a great stress relief for your dog and will help invoke calm. Take long strokes, petting his head, chest and back, continuing until he physically relaxes. Once he is calm, quietly praise him for his good behaviour. One crucial tip is to ignore your dog’s attention seeking behaviour. Try to encourage independence by keeping to scheduled playtimes and encourage independent play. Avoiding showing sympathy or attention when your dog is misbehaving will also stop the problem from escalating.